"Twelve Angry Men" did not begin on the stage as is often the case. Instead, the popular play was adapted from Reginald Rose's 1954 live teleplay that debuted on a CBS Studios' series, "Studio One in Hollywood." In 1957, the famous film adaptation starring Henry Fonda was produced, and the stage play did not debut until 1964. This is an iconic courtroom drama in which the audience never sees the inside of a courtroom. It is set entirely inside a crowded, steamy jury room and it is a script filled with little more than some of the best dramatic dialogue written. 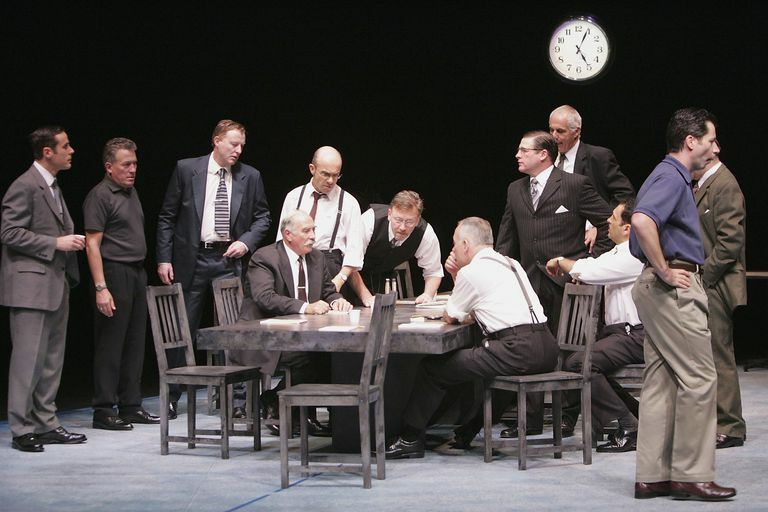 "Twelve Angry Men" quickly became a classic story for stage and screen and Rose's cast of characters some of the most memorable in modern history. Yet, not one of the twelve jurors has a name, they are simply known by their juror numbers. 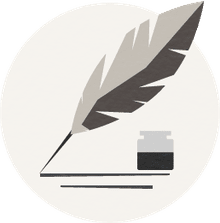 A reader may think that this somehow takes away from the characters' personalities or the audience's ability to relate to them. To the contrary, the unnamed men who are tasked with the fate of a young man could be your father, husband, son, or grandfather and every personality type is portrayed in this fascinating psychological drama. At the beginning of "Twelve Angry Men", the jury has just finished listening to six days of trial proceedings inside a New York City courtroom. A 19-year-old man is on trial for the murder of his father. The defendant has a criminal record and a lot of circumstantial evidence piled up against him. The defendant, if found guilty, would receive a mandatory death penalty. The jury is sent to a hot, crowded room to deliberate. Before any formal discussion, they cast a vote. Eleven of the jurors voted “guilty.” Only one juror votes “not guilty.” That juror, who is known in the script as Juror #8 is the protagonist of the play. Meet The Characters of "12 Angry Men"
Instead of organizing the jurors in numeric order, the characters are listed in the order they decide to vote in favor of the defendant. This progressive look at the cast is important for the final outcome of the play as one juror after another changes their mind about the verdict. He votes “not guilty” during the jury’s first vote. Described as thoughtful and gentle, Juror #8 is usually portrayed as the most heroic member of the jury. Juror #8 spends the rest of the play urging the others to practice patience and to contemplate the details of the case. A guilty verdict will result in the electric chair; therefore, Juror #8 wants to discuss the relevance of the witness testimony. He is convinced that there is reasonable doubt and eventually he persuades the other jurors to acquit the defendant. Juror #9 is described in the stage notes as a “mild, gentle old man, defeated by life and waiting to die.” Despite this bleak description, he is the first to agree with Juror #8, deciding that there is not enough evidence to sentence the young man to death. This young man is nervous about expressing his opinion, especially in front of the elder members of the group. As a refugee from Europe, Juror #11 has witnessed great injustices. That is why he is intent on administering justice as a jury member. He sometimes feels self-conscious about his foreign accent. He conveys a deep appreciation for democracy and America’s legal system. He is the timidest man of the group. Just how timid? Well, this will give you an idea: For the 1957 adaptation of "12 Angry Men," director Sidney Lumet cast John Fielder as Juror #2. (Fielder is best known as the voice of “Piglet” from Disney’s Winnie the Pooh cartoons). Juror #2 is easily persuaded by the opinions of others, and cannot explain the roots of his opinions. Described as an “honest but dull-witted man,” Juror #6 is a house painter by trade. He is slow to see the good in others but eventually agrees with Juror #8. A slick and sometimes obnoxious salesman, Juror #7 admits during Act One that he would have done anything to miss jury duty. He represents the many real-life individuals who loathe the idea of being on a jury. He is an arrogant and impatient advertising executive. He is anxious for the trial to be over so that he can get back to his career and his social life. Non-confrontational, Juror #1 serves as the foreman of the jury. He is serious about his authoritative role and wants to be as fair as possible. The most abhorrent member of the group, Juror #10 is openly bitter and prejudiced. During Act Three he unleashes his bigotry to the others in a speech that disturbs the rest of the jury. Most of the jurors, disgusted by #10’s racism, turn their backs on him. A logical, well-spoken stock-broker, Juror #4 urges his fellow jurors to avoid emotional arguments and engage in rational discussion. He does not change his vote until a witness’s testimony is discredited (due to the witness’s apparently poor vision). In many ways, he is the antagonist to the constantly calm Juror #8. Juror #3 is immediately vocal about the supposed simplicity of the case and the obvious guilt of the defendant. He is quick to lose his temper and often infuriated when Juror #8 and other members disagree with his opinions. Reginald Rose’s drama, "Twelve Angry Men" ends with the jury agreeing that there is enough reasonable doubt to warrant an acquittal. The defendant is deemed “not guilty” by a jury of his peers. However, the playwright never reveals the truth behind the case. Did they save an innocent man from the electric chair? Did a guilty man go free? The audience is left to decide for themselves.